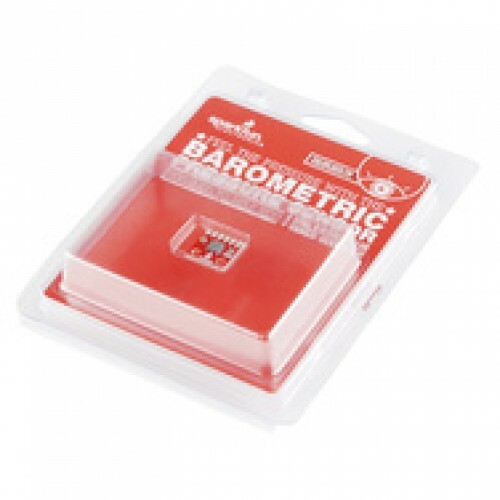 This is a simple breakout board for the BMP085 high-precision, low-power barometric pressure sensor in retail packaging. The BMP085 offers a measuring range of 300 to 1100 hPa with an accuracy down to 0.03 hPa in ultra-high resolution mode (that's 0.25m of altitude at sea level!) It's based on piezo-resistive technology for high accuracy, ruggedness and long term stability. These come factory-calibrated, with the calibration coefficients already stored in ROM. Writing your own code for it requires some math, but there are plenty of examples and libraries available (see below).